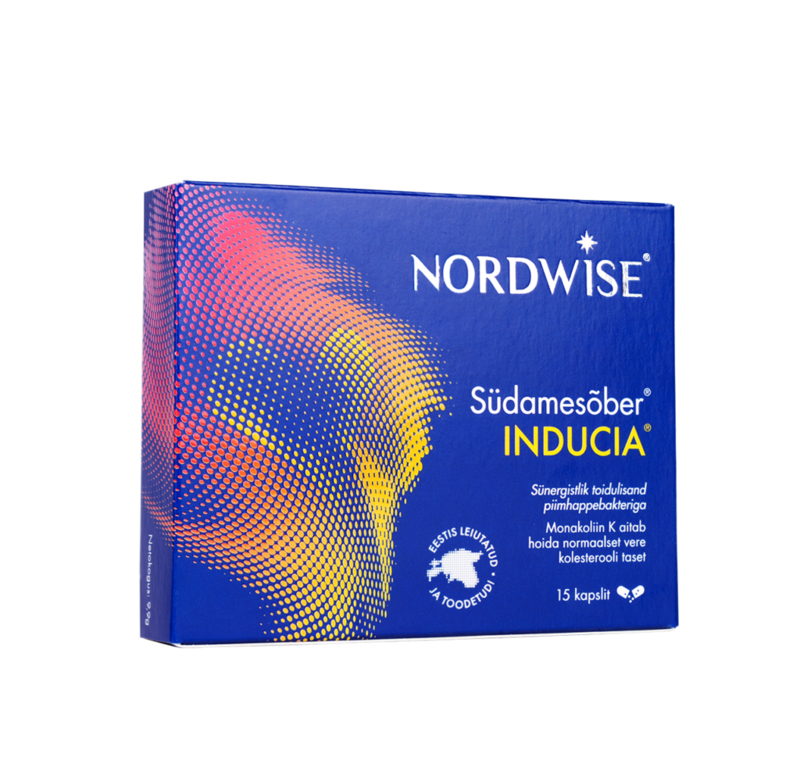 Synergistic food supplement with Lactobacillus plantarum INDUCIA®, fermented red yeast rice and B vitamins. Heart Friendly® INDUCIA® one capsule contains 5 billion beneficial live lactic acid bacteria what is specific to the human body, fermented red yeast rice and B vitamins. supports antioxidative network of the human body due to its strong antioxidative properties and the presence of a complete intracellular glutathione system. Helps to maintain and restore the balance of intestinal microflora. Increases the amount of useful lactobacilli in the gut, which ensure the breakdown of more absorbable compounds of nutrients. INDUCIA® is also patented in Europe (EP2288360), Russia (RU2486234) and Korea (KR10-1595042). Research and development have been carried out in cooperation with BioCC LLC and Tartu University researchers. Contributes to the maintenance of normal blood cholesterol levels. The beneficial effect is obtained with a daily intake of 10 mg monacolin K from fermented red yeast rice preparations. Elevated homocysteine value is considered a risk factor for cardiovascular diseases. A powerful antioxidant and can reduce oxidative stress. Other ingredients: bulking agent microcrystalline cellulose, capsule shell: hydroxylpropyl methycellulose, gellan gum. Recommended dosage: 1 capsule once a day. Recommended also during and after antibiotic treatment preferably for 4 weeks..
A food supplement does not replace a diverse and balanced diet and healthy lifestyle.